Florence, the capital of Tuscany, is one of the great artistic centres of the world; for a short while it was also capital of ltaly. Its cultural splendour reached its peak in the 15th and 16th centuries under the rule of the Medici family, this period encompassing the works of Botticelli and Michelangelo. The Uffizi and the Pitti Palaces have the finest collections of Renaissance paintings in the world, while the Academic Gallery houses Michelangelo’s David: the tombs of Michelangelo and Rossini are to be found in the Church of Santa Croce. One of our concerts was in the beautiful Florentine romantic church of San Miniato, with its exterior of white and green marble, and dating back to 1063; its forecourt provides one of the best panoramic views of the city. The music, glven in the presence of the British Ambassador and a large appreciative audience, included Dvorak’s Symphony No 8 and Beethoven’s Mass in C.
The group made another trip to Rome, this time to sing Rossini’s Stabat Mater in the Rome Opera House; also to Bologna where we were able to see the twin leaning tower landmarks, and to visit the university which, dating back to 1088, claims to be the oldest in Europe. 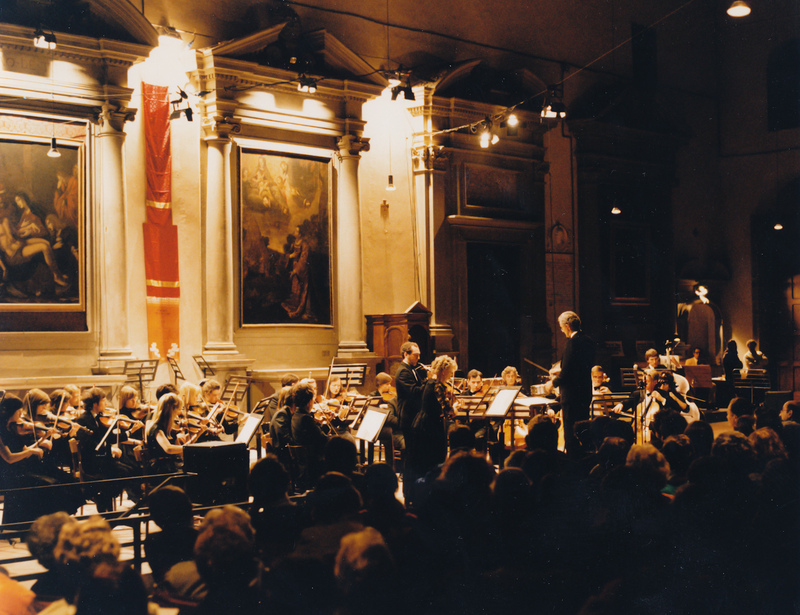 Our final concert in Florence was in the church of S. Stephano Pontevecchio, which had been converted into a beautiful concert hall alongside the river.This provided a wonderful setting for the various units within BAFCO, incorporating the fourth Brandenberg concerto, a Gabrieli brass ensemble, and unaccompanied choral singing conducted by Riet.